This watch was made especially for inline skaters. 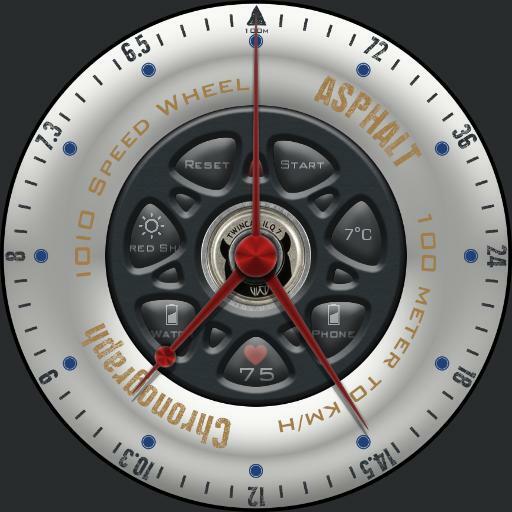 It features a tachymeter to measure the speed of inline skaters in a distance of 100 meters. Tap on start to start the measurement and stop it when you reached 100 meters of distance. Now you can read the result on the bezel scale of kilometers per hour. Most of those complications feature a tap functionality. Tap the center of the watch to zoom the watchface in or out.